6+ only. 6s to 13s must be accompanied by an adult. No refunds will be given for incorrectly booked tickets. * The transaction fee is £4.00 for Standard Delivery. Futuresound Events & LUFC provide a free companion ticket for disabled customers (subject to availability). 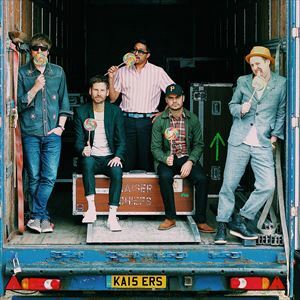 Please book your ticket for Kaiser Chiefs at Elland Road via Lunatickets or See tickets, and then email help@lunatickets.co.uk with proof of ticket purchase (reference number) and details of your access requirements (to help us plan the event and facilities) to arrange a complimentary companion ticket.